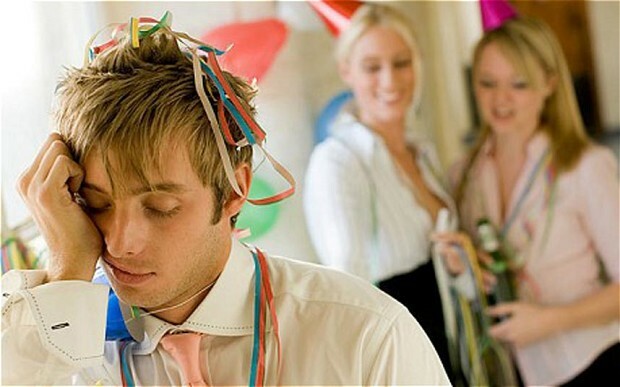 Don't be an Office Party Victim this Christmas! As we turn the calendar to the final month, the work Christmas party season begins…. From the hardened office veteran who has seen it all over many years of buffet dinners, Kris Kringles and bad Karaoke, to the fresh faced newbies giddy with excitement at all the joys that an open bar tab brings, there are a few rules that you should observe to make sure that come Monday morning you will be able to walk into work with your head held high, or even walk into work at all! If your work break-up is an activity-based experience such as golf or paintball there are some obvious clothing expectations, similarly if there is a fancy-dress themed event. If it is a more standard soiree, a poor choice of clothing could have a big impact on your celebrations. Dress to impress, but don’t show the flesh! Be sure to choose something appropriate that won’t have the peanut gallery squabbling on Monday morning. Conversely, Put in some effort. Your employers are paying for an event to thank you for your efforts, the least you could do is dress more for a night out and less for a trip to the fish and chip shop! While the opportunity to chase Helen from finance about the reports that you’ve been waiting two weeks for is tempting, no one wants to spend the night talking about work. It is inevitable that work topics will come up during the event but take the time to get to know your colleagues better away from the daily grind. The positive relationships that can come from such social events can greatly impact your work environment. By all means grab your camera and take some selfies and happy snaps, but for the love of all things sacred don’t post on social media! With the drinks flowing and with everyone getting in the party mood there are sure to be some great stories to come out of the night. In the cold light of the next morning though, perhaps that pic of two staff getting a little too close, or the one of the employee showing their pole dancing moves maybe shouldn’t have been plastered across Facebook, Instagram and Twitter! This should be a simple one shouldn’t it? Not only is it illegal, but you will stand out like a sore thumb. If the thought of attending a work Christmas party without boosting your buzz with a little something extra is something that gives you nightmares, perhaps you should just call in sick for the night. Go in with a plan for the night. Buddy up with someone you trust and look out for one another. Be sure to add water breaks to your drinking. Plan your trip home early to avoid the deadly ‘afterparty’. By keeping yourself moderately in check you can enjoy a great night, all while avoiding the ‘what-did-I-do-last-night?’ horrors the next morning. And if you do happen to go overboard and make a goose of yourself this Christmas season? Don’t freak out. You’re not the first person to have said something they shouldn’t or gotten a little too friendly with a colleague in the heat of the moment, and you certainly won’t be the last. As long as you haven’t committed career suicide there is no need to call in sick for the next 3 months. Hold your head high and own it. If need be, apologise to those affected to diffuse the situation, and for everyone else try to laugh it off as you take your punishment. Let’s just hope everyone else read tip 3, and you avoid becoming the mother of all Christmas Party memes! 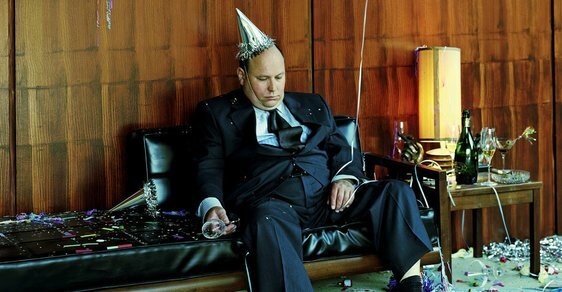 Book your Xmas function at RaceParty and avoid being an Office party Victim!! Newer PostAn evening of fine jewellery, premium wines and fast cars! Older PostCelebrate the positives of turning 30 at Race Party!